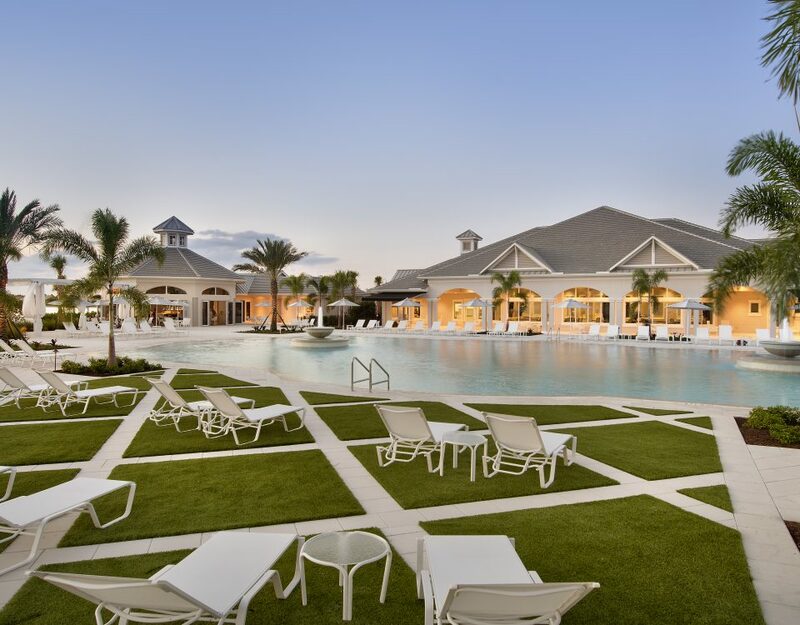 ESTERO, Fla., July 25, 2018 /PRNewswire/ — Master developer Cameratta Companies has announced the completion of its Phase I amenities at The Place at Corkscrew, a gated, Southern Plantation-inspired community in Estero, Florida. Extensive Phase II and III amenities are now under construction. Home shoppers are invited to visit The Place at Corkscrew to experience the community’s amenity-rich lifestyle and tour its actively selling model home collections by Lennar Corporation and Pulte Homes, two of the nation’s leading homebuilders. Fully-enclosed and fenced playground with swings, slides, shade structures and two 33-foot Sky Run Zip Tracks to create an inclusive play experience. Under-roof pavilion with picnic tables, restrooms and drinking fountains. Half basketball court with Spaulding adjustable hoop, glass backboard and regulation playing lines. Fully enclosed and fenced dog park with benches, water station and leashing/unleashing area. Multi-purpose grass flex field for outdoor sporting activities. Within a few months, The Place at Corkscrew will also mark the completion of Phase II amenities to include a two-story fitness center, café and marketplace, community pool and spa, 100-foot waterslide and splash pad, beach volleyball court, tennis pro shop and tennis, pickleball and bocce courts and a trolley. Phase III amenities are slated for completion in mid-2019, adding a restaurant, wine and martini bar, and multi-functional room. 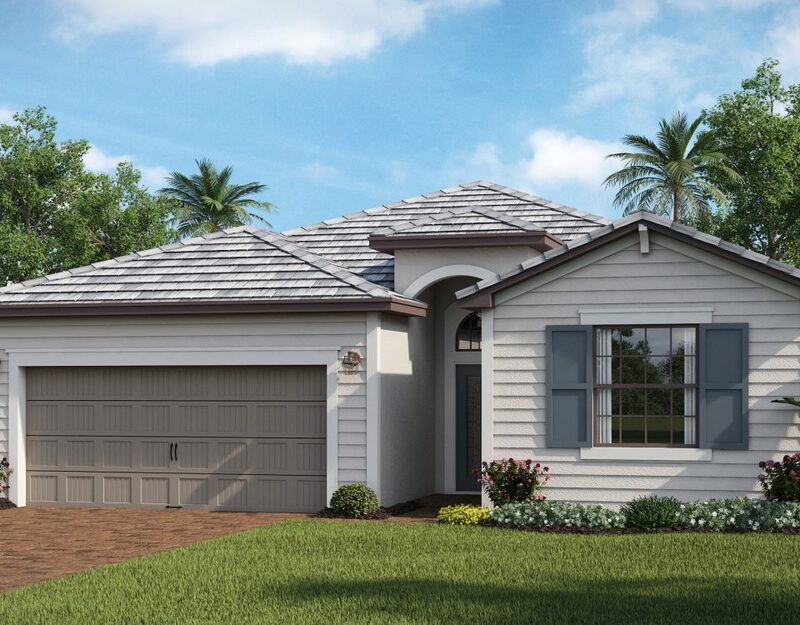 Lennar’s Executive Homes collection at The Place at Corkscrew includes one- and two-story designs ranging from 1,677 to 3,357 square feet, with three to five bedrooms and two to three-and-a-half baths. Each home delivers bright and open interiors with generous living spaces and gourmet kitchens made for entertaining, and elegant yet flexible floor plans inspired to meet the needs of growing families. An indoor-outdoor approach naturally extends these spaces, creating additional opportunities to soak in the sights and sounds of the surrounding nature preserve. Pricing begins at $275,999. Pulte Homes offers 15 innovative, Life Tested® home designs at The Place at Corkscrew, boasting elegant architectural exteriors, open gathering and dining areas perfect for entertaining, and functional living spaces for managing your busy home life. Pulte’s flexible open floor plans have wide-ranging appeal to young families, move-up buyers, and multi-generational families, offering one- and two-story designs with two to six bedrooms, two to three-car garages, and 1,674 to over 4,242 square feet. Pricing ranges from the upper $200,000’s to the $400,000’s. Home shoppers are invited to visit the Lennar and Pulte model homes at The Place at Corkscrew during regular model home hours: Monday through Saturday from 9:00 a.m. to 6:00 p.m., and Sunday from 10:00 a.m. to 6:00 p.m. The Lennar sales center is located at 17067 Ashcomb Way, Estero, FL 33928, and can be reached at 888-214-1689. 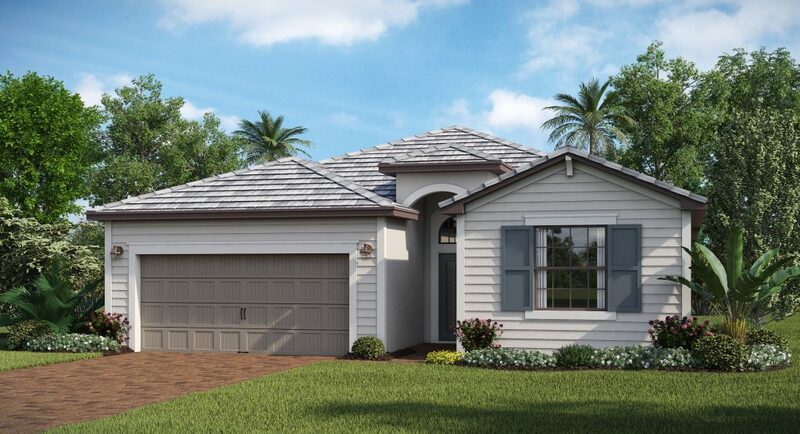 Pulte Homes’ sales center is located at 17071 Ashcomb Way, Estero, FL 33928, and can be reached at 877-256-4709. Residents at The Place at Corkscrew enjoy fully maintained lawns and meandering bike and walking paths that easily connect residents to the community’s expansive amenities. 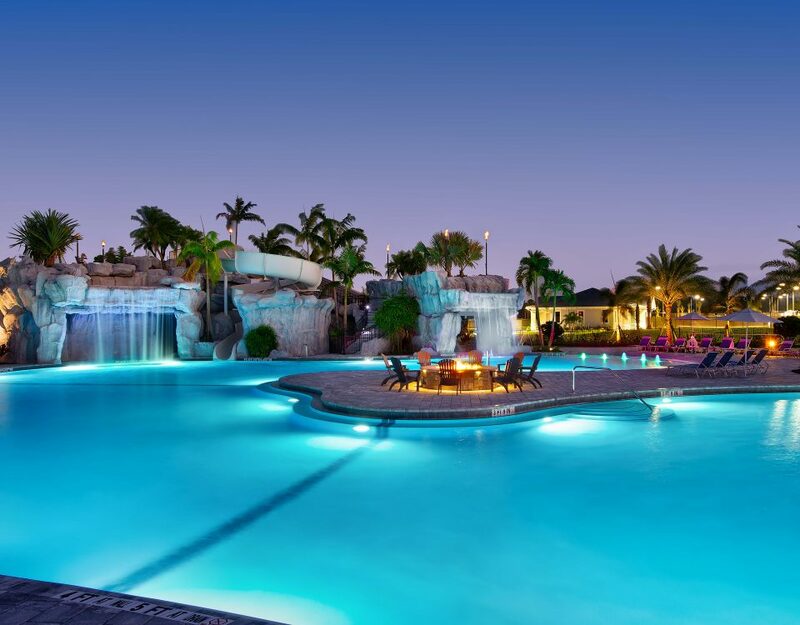 The neighborhood is convenient to a host of shopping, dining and entertainment, and is minutes from Interstate 75, the Southwest Florida International Airport and the recreational amenities that dot the area’s coastline. 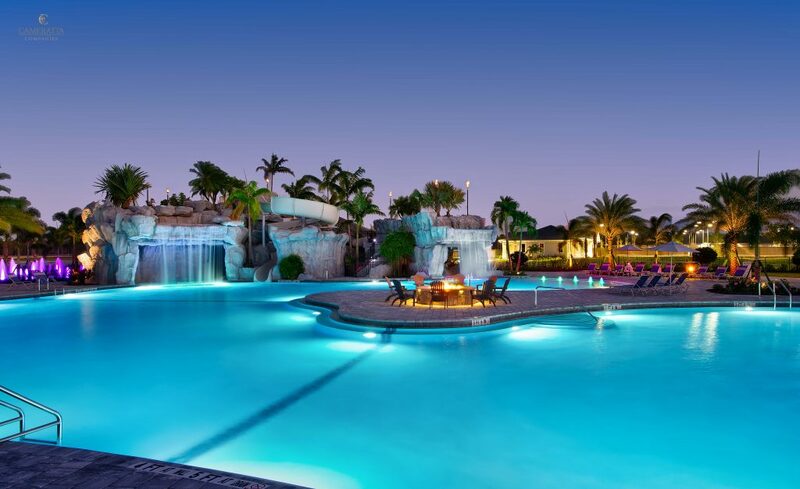 It is also only a short drive from the employment corridors of both Fort Myers and Naples. The neighborhood is served by Pinewoods Elementary School, Bonita Springs Middle School and Estero High School, all part of Lee County Public Schools. Cameratta Companies, LLC is a full-service, leading real estate development company and a pioneer in the real estate industry known to work with the most successful builders in the industry. With more than 40 years of experience, the Cameratta organization has successfully developed thousands of acres of raw land into masterfully designed communities including single-family and multi-family residential communities, high-rise condos and golf course communities. 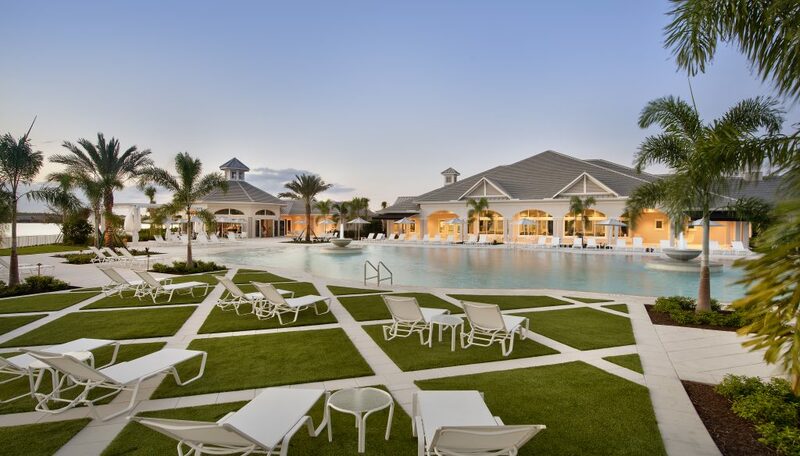 High Point Place in Fort Myers and Corkscrew Shores and The Preserve at Corkscrew in Estero are just a few of the award-winning projects by Cameratta Companies. For more information about Cameratta Companies, visit www.cameratta.com. PulteGroup, Inc., based in Atlanta, Georgia, is one of America’s largest homebuilding companies with operations in approximately 50 markets throughout the country. Through its brand portfolio that includes Centex, Pulte Homes, Del Webb, DiVosta Homes and John Wieland Homes and Neighborhoods, the company is one of the industry’s most versatile homebuilders able to meet the needs of multiple buyer groups and respond to changing consumer demand. PulteGroup conducts extensive research to provide homebuyers with innovative solutions and consumer inspired homes and communities to make lives better. For more information about PulteGroup, Inc. and PulteGroup brands, go to pultegroupinc.com; www.pulte.com; www.centex.com; www.delwebb.com; www.divosta.com and www.jwhomes.com. Follow PulteGroup, Inc. on Twitter: @PulteGroupNews.